over at Scrapbook Ideas. 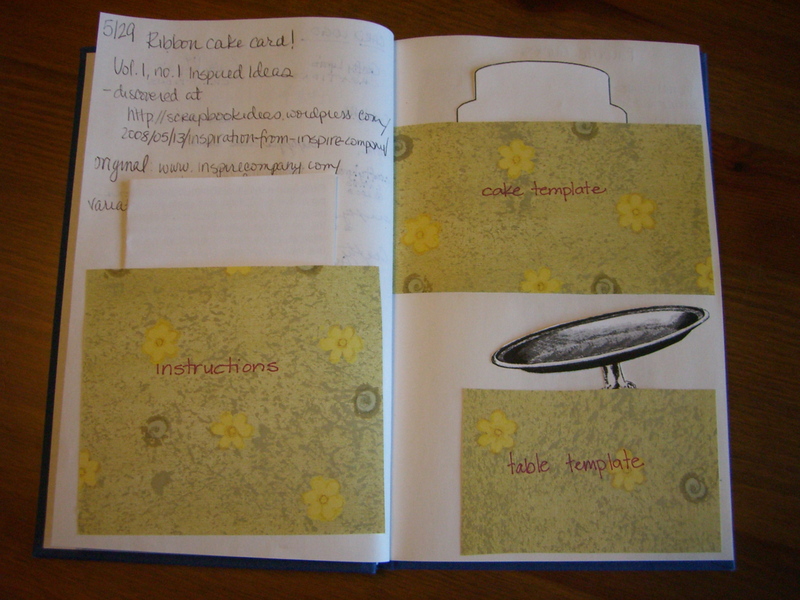 I absolutely love that cake idea (instructions here) enough so that I printed out the templates and instructions and put them in my idea journal/ Each template gets its own pocket, as do the instructions. I’m considering a variation without the use of contact paper, but I can’t wait to make a number of birthday cards using this idea. If you need inspiration, I highly recommend you check out Inspire Company’s free web magazine, Inspired Ideas.